During the past year, over 2,000 patient visits were realized in our expanded eye clinic consisting of four fully equipped examination rooms. Our team of Ophthalmologists and medical staff provide various vision care services for both adults and children of Palm Beach County. Caridad is known by patients and staff as a “Place where miracles happen”. There are numerous stories of children and parents who came into Caridad unable to see, and now have the gift of sight. 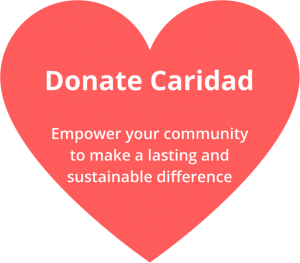 Caridad would be unable to perform these miracles to so many without your generous support.